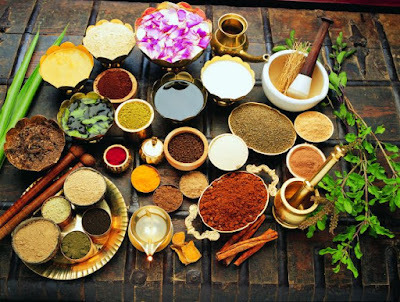 The word Ayurveda is derived from Sanskrit words “Ayur” meaning “life” and “Veda” meaning “Knowledge”.Ayurveda is a 5,000-year-old system of natural healing with historical roots in the Indian subcontinent. Although suppressed during years of foreign occupation, Ayurveda has been enjoying a major resurgence in both its native land and throughout the world. Even the Traditional Chinese Medicine and Tibetan medicine have their roots in Ayurveda. Ayurveda is not just a mere system of treating illness but is a science of life. It offers a wide range of wisdom designed to help people stay healthy while realizing their full human potential. Ayurveda suggests that health is the balanced and dynamic integration between our environment, body, mind, and spirit, hence providing guidelines on ideal daily and seasonal routines, behavior, diet and the proper use of our senses. Therapies in Ayurveda are typically based on herbal compounds(complex), minerals and metal substances. Ancient Ayurveda scripts and texts also taught surgical techniques, including rhinoplasty, sutures, kidney stone extractions, and the extraction of foreign objects. These primary forces are responsible for the characteristics of our mind and body, known as Vata (Wind), Pitta (Fire), and Kapha (Earth) in Sanskrit. Each individual has a unique proportion of these three forces that define our nature. 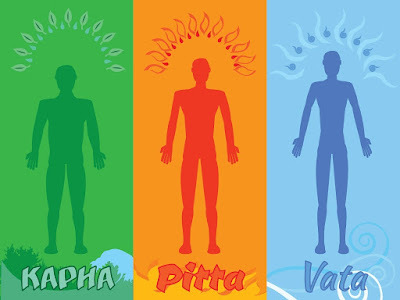 If the element Vata(wid) is dominant in our Ayurvedic Consultation system, we tend to be thin, light, energetic, changeable and enthusiastic. If the element Pitta(Fire) predominates in our nature, we tend to be intelligent, goal-oriented, intense and have a strong appetite for life. When the element Kapha(Earth) prevails, we tend to be methodical, easy going and nurturing. 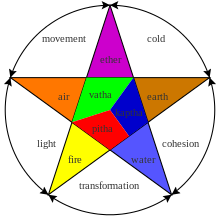 Although each of us possesses these three forces, most people have one or two elements that are supreme and prevalent. Awesome! Its in fact remarkable paragraph, I have got much clear idea regarding from this article.